1 Dec, 2014 Rakesh Sharma Reviews . Packaging was real good, as you can see my parcel have goon through a real abuse from courier guys, but the hardware inside was in absolute perfect condition. 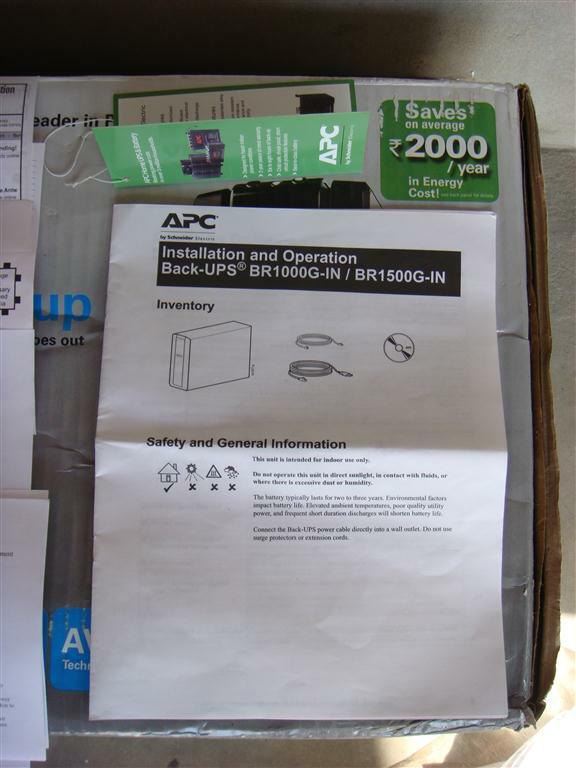 Box is having some good pictures of the actual product with clear and detailed description of features and labeled backside pin layout for easy installation without even reading through whole User manual. 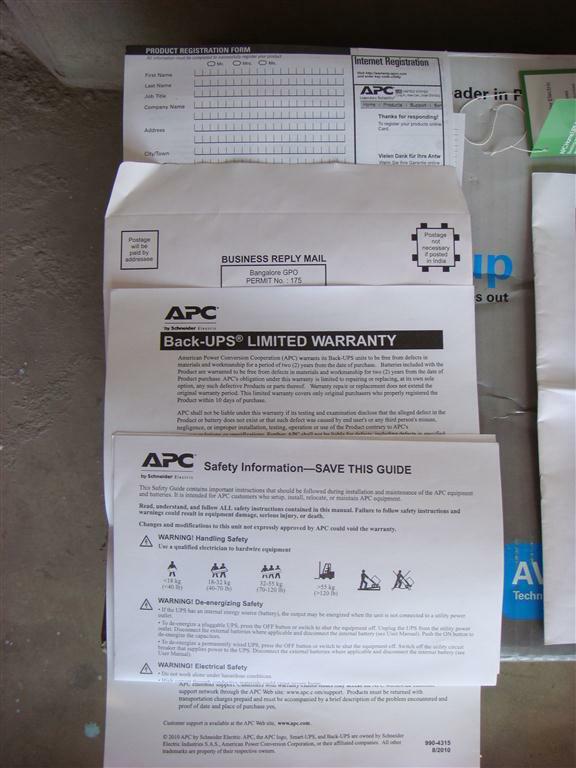 Package containing UPS unit, User’s Manual, Safety Information guide, Product registration form with business reply mailer, Warranty document, PowerChute software disk, USB data link cable, a RJ-11 telephone cable and Quality Assurance test result slip showing different test passed by this particular UPS with exact serial no. Showing that each and every unit has to pass through many quality tests before it is qualified for sales. 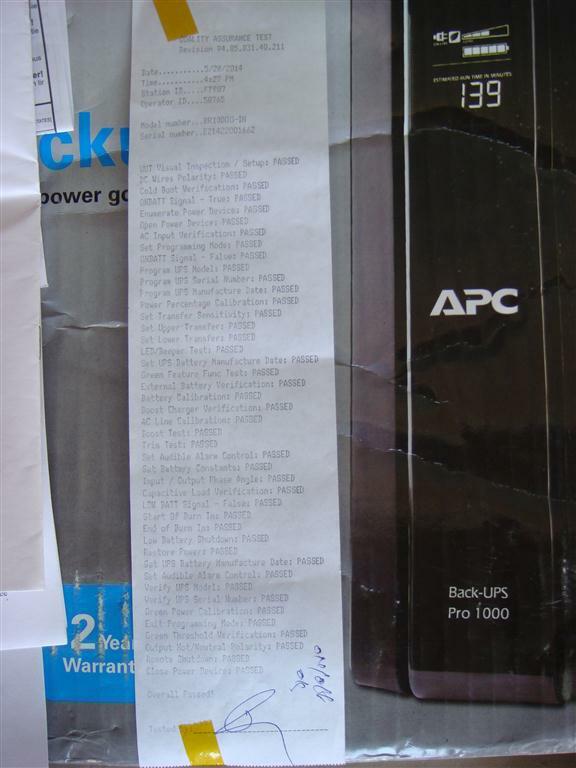 Have not seen this type of quality assurance being given by any other UPS manufacturer in India. 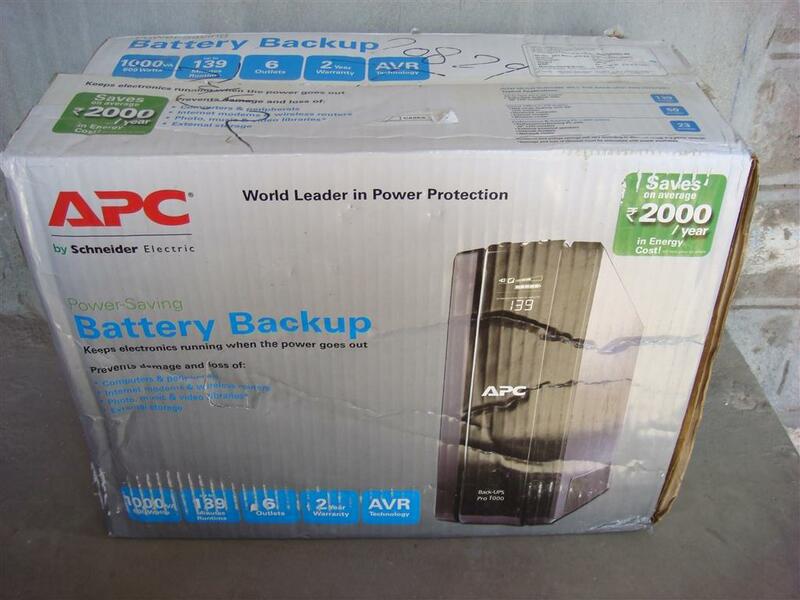 +1 for APC. Product looks good and sleek. Having three rubber carbon contact buttons on top, same type and feel buttons as you find on your TV remote control. 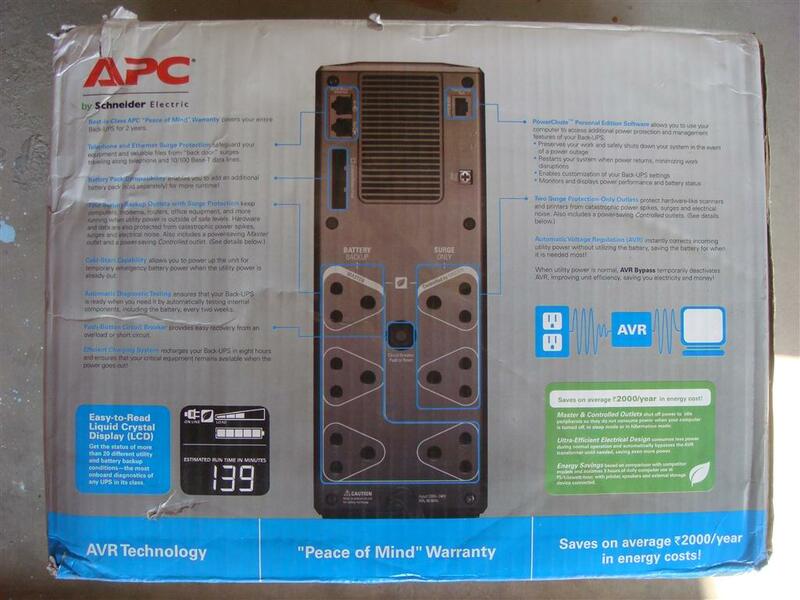 Unit is having large air vents on top, on both side and on back, for active cooling. 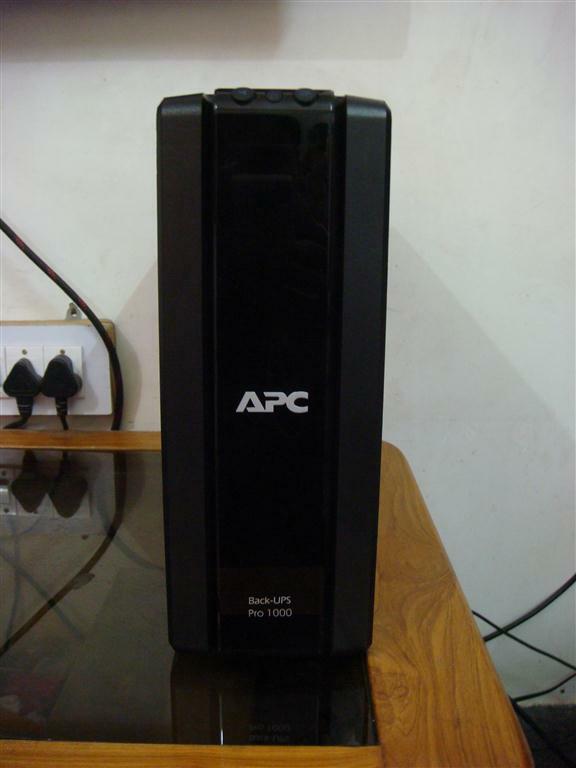 Having an internal fan which is noisy during charging and discharging. Rest of the time unit is relatively silent than other UPSs. 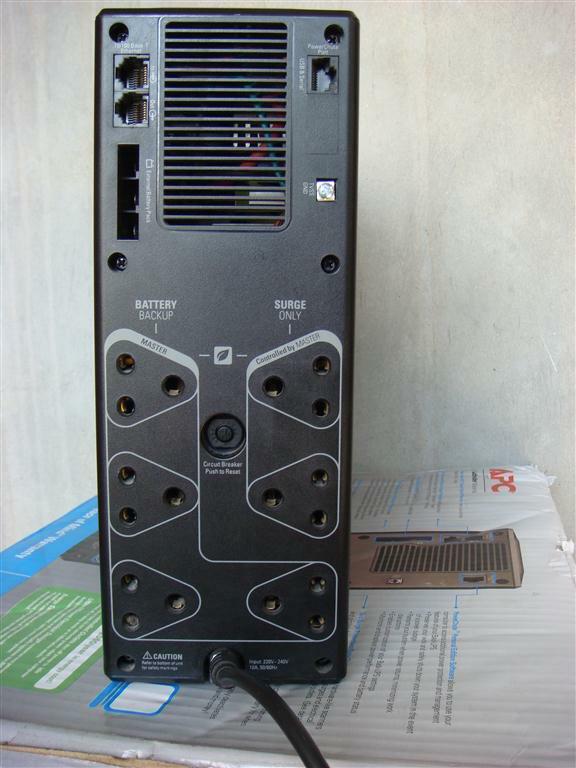 4 battery backup output power ports, out of which one port is master port to which main CPU is connected. 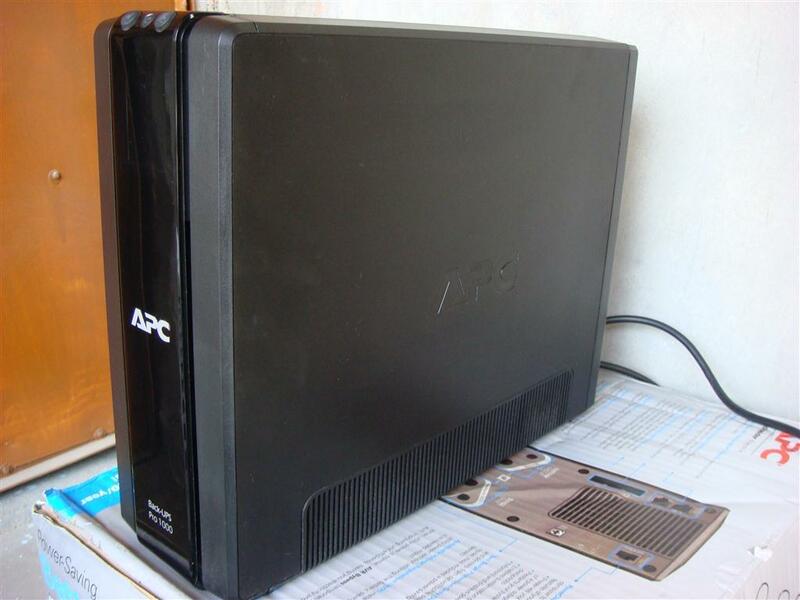 By changing some settings and when CPU is switched off or in sleep mode, this port can turn power off to all other ports. 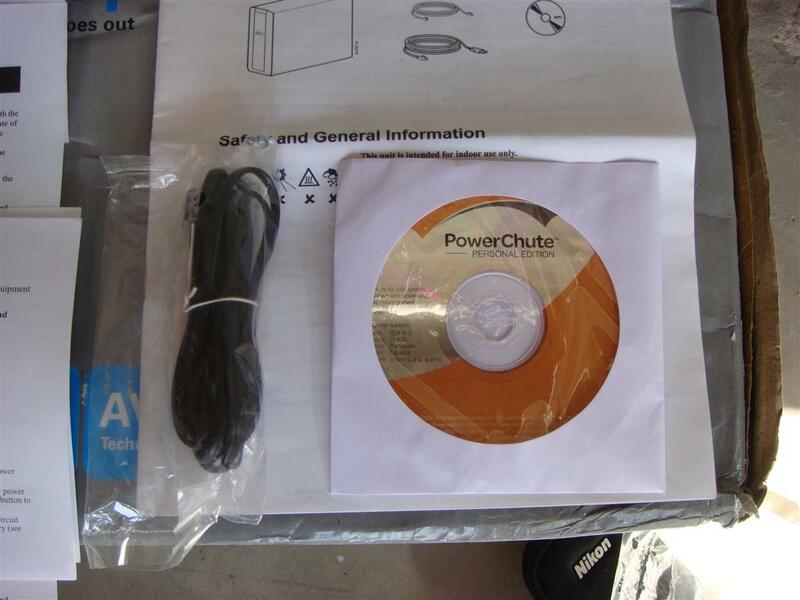 2 surge only ports for your printers and other peripherals. External Battery pack connector. 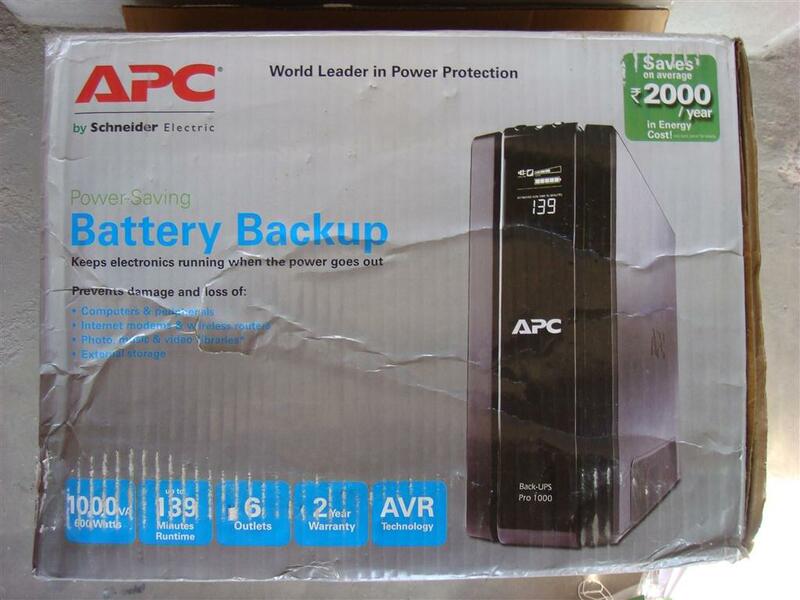 You cannot connect any external battery to it, but only the backup battery unit that APC provides for this model, which will increase the backup time from 50 minutes to approx. 2 hours. 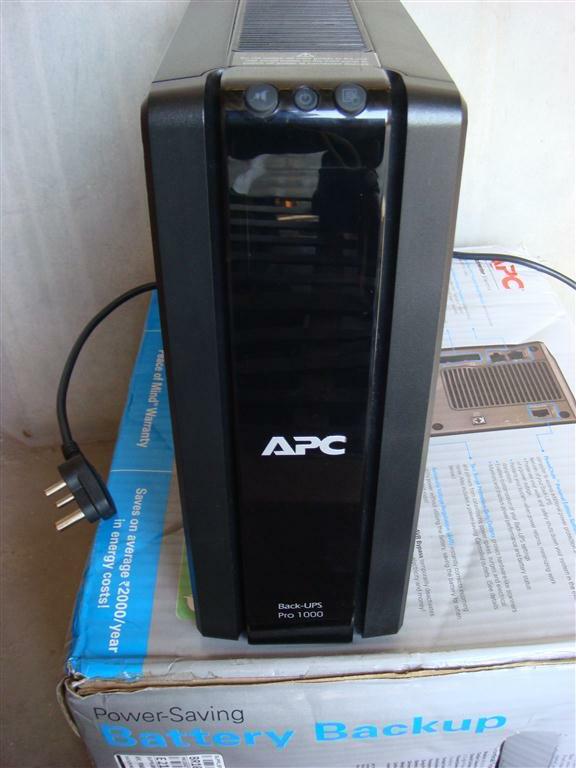 USB port to connect UPS to the computer via a USB cable provide with the unit.